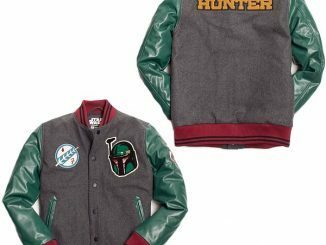 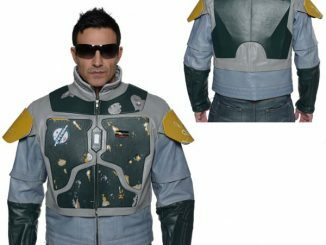 If you consider yourself something of a bounty hunter, wear this Star Wars Boba Fett Varsity Jacket. 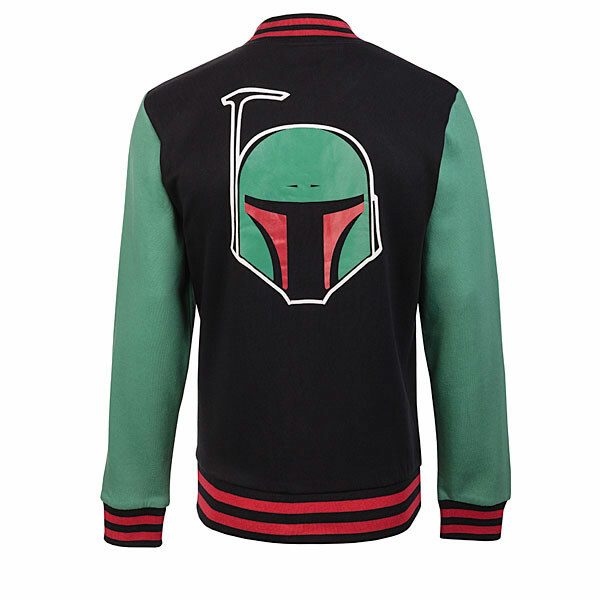 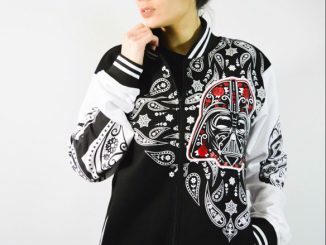 It’s what all of the cool bounty hunters are wearing when they are off duty. 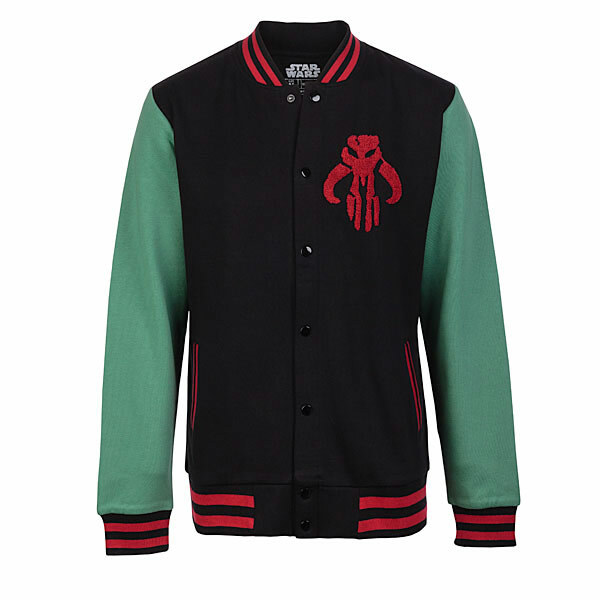 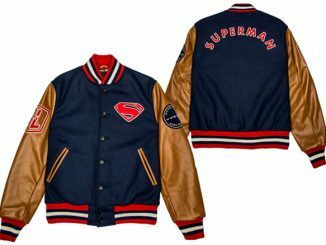 This black varsity jacket has green sleeves and red trim and looks dashing. 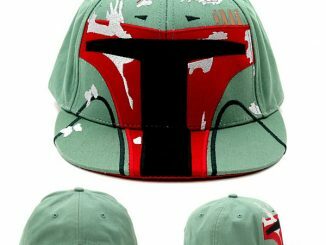 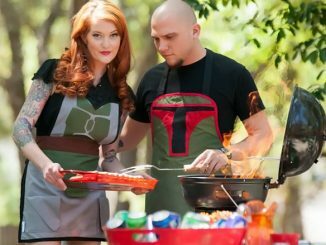 On the front is an embroidered Mandalorian skull, and on the back Boba Fett’s helmet is screenprinted in red, green and white. 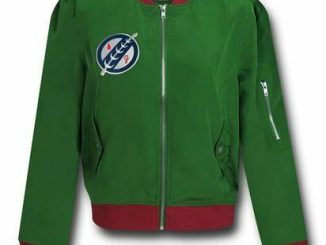 This jacket is 60% cotton and 40% polyester. 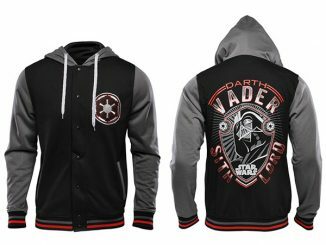 And 100% awesome. 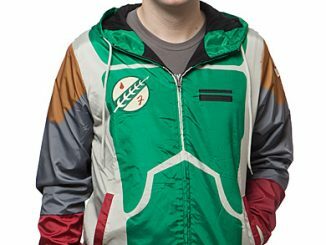 You can find it at ThinkGeek.com for $59.99. 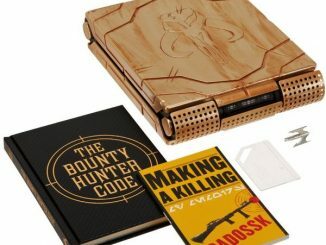 It makes a great gift for any Star Wars fan.